The Personalised Triple Thea Initial Bracelet is a delicate contemporary bracelet with a personalisation that can be added to the three discs. 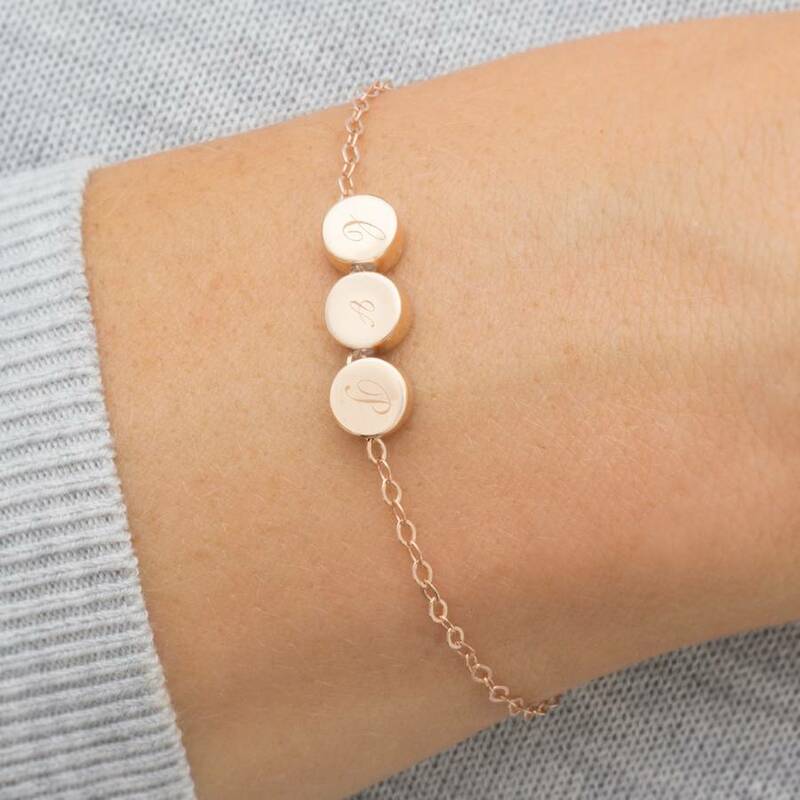 This silver or rose gold triple disk bracelet is a clean modern design with 3 contemporary discs on a delicate chain bracelet with an extender chain and a tiny heart shaped tag on the end. Great for layering with our skinny layer collection. The Thea Personalised Disc Bracelet is available in a selection of sizes for adults and children. Further disks can be added to the bracelet to represent extra faimily members, friends, numbers or initials to personalise the bracelet and make it totally unique. Just perfect for all occasions! 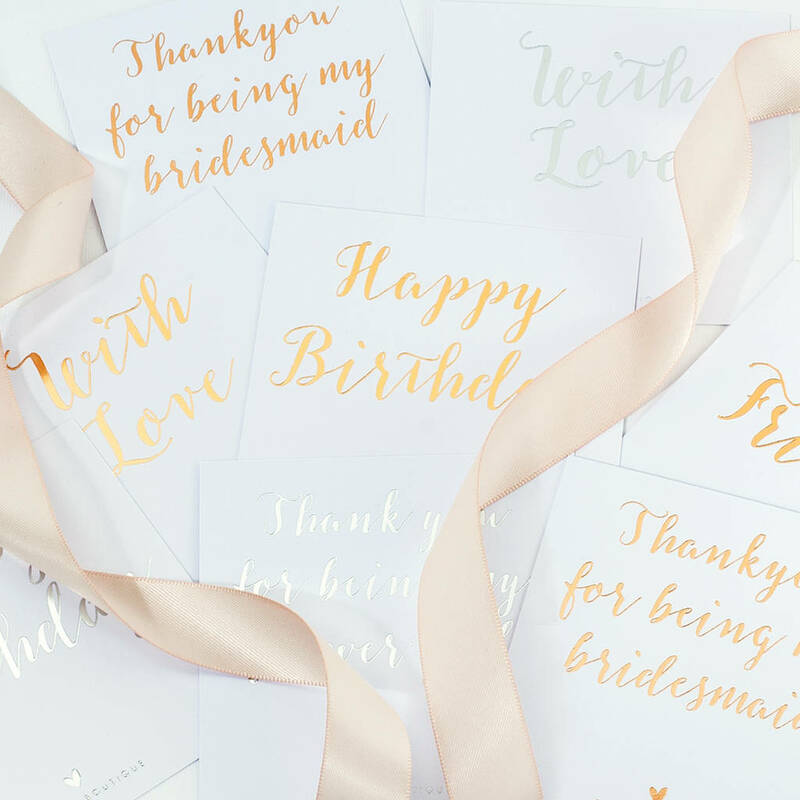 Great for family, bridemaids, flower girls, birthdays or just a very special gift to yourself. 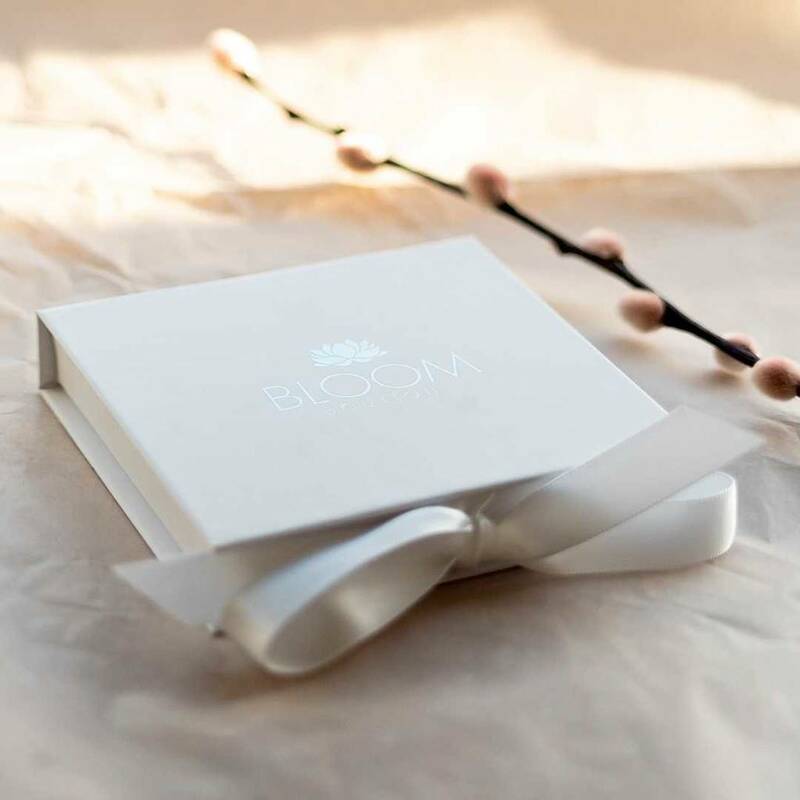 This delicate bracelet is available in silver and rose gold with highly polished small discs.